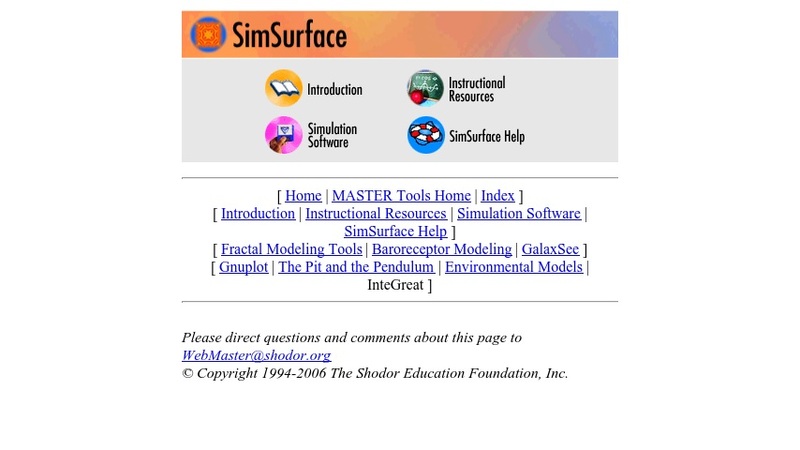 SimSurface demonstrates two commonly used computational techniques. The first, simulated annealing, is an often-used method for finding global maxima and minima of complicated multi-dimensional functions. It can be used any time you have a function that gets big when things are bad and small when things are good (or vice-versa). The problem being solved in SimSurface is a minimization of potential energy. The question we are trying to answer is: given n stationary electrons/protons confined to a 2-dimensional surface by four charged walls, what arrangement of electrons has the minimum total energy and is therefore the configuration preferred by nature?